So, last week - as if I didnt know better, I got myself an other old Harley Davidson. 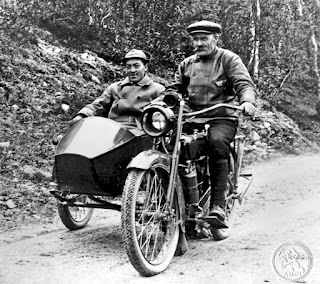 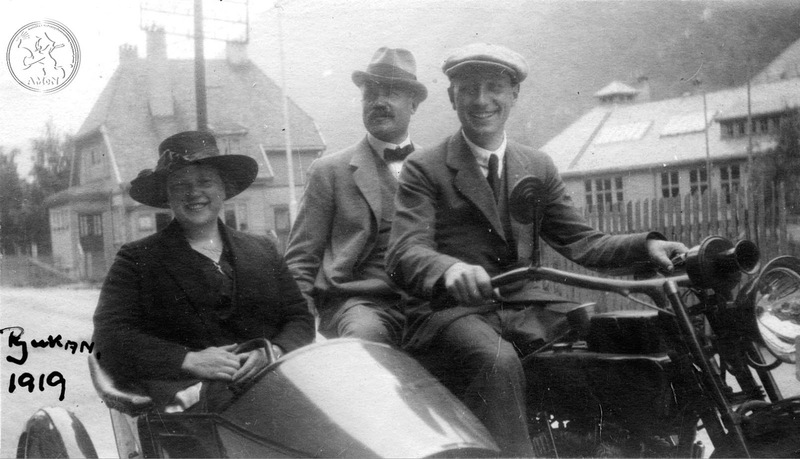 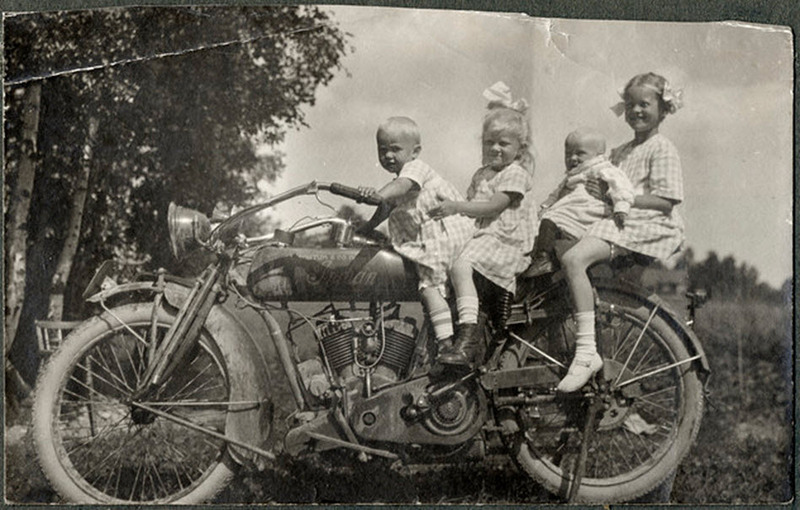 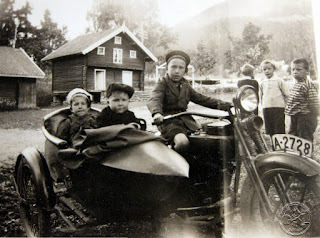 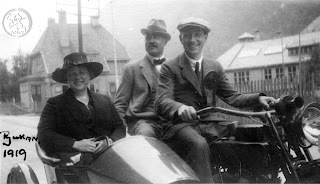 This one with a sidecar. 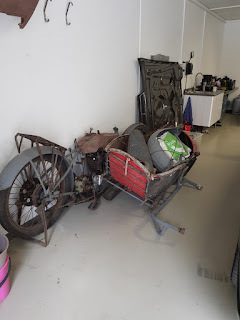 The whole lot is a project, that is for sure, but still it have made me dream, hence this post with sidecar outfit photos from yesterdaze. Yes I know some of those photos might have been posted before, I lost track a long time ago, sorry for that. 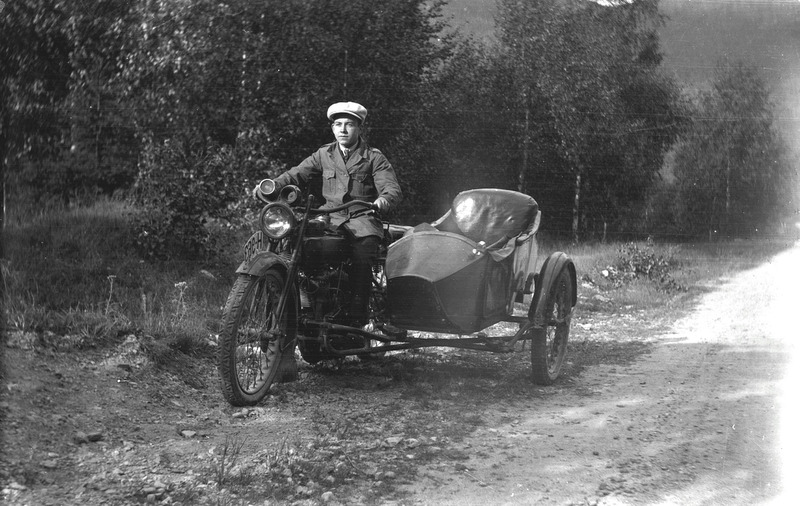 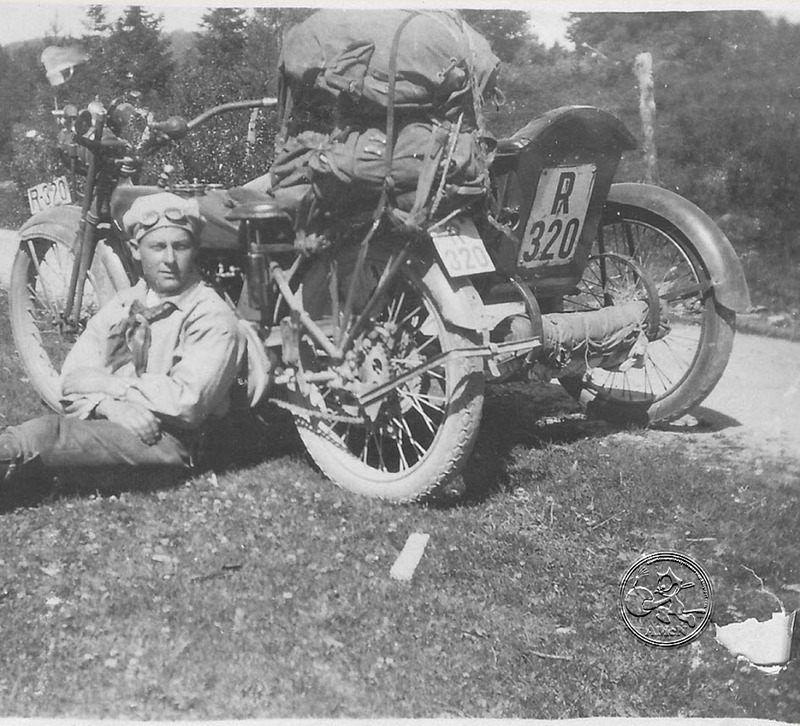 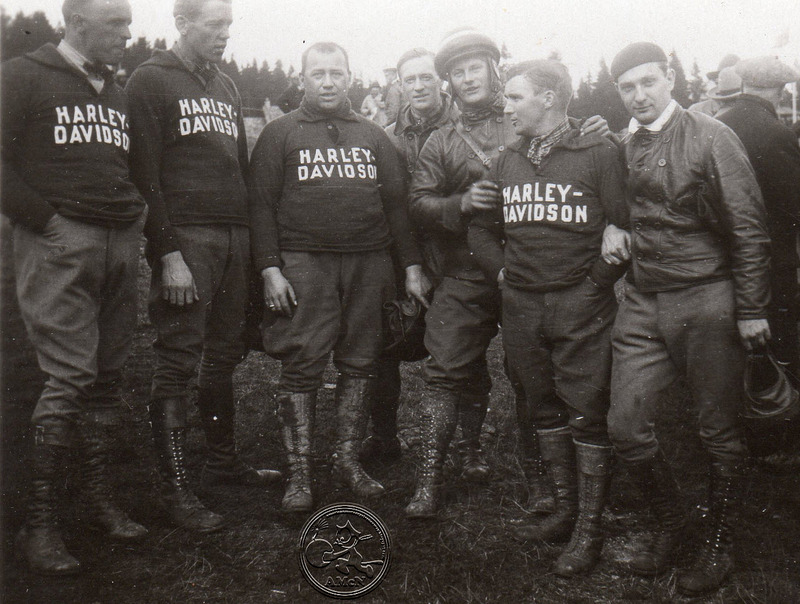 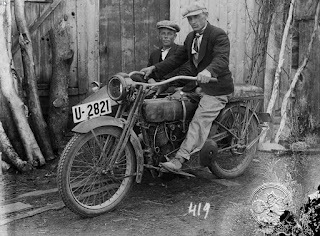 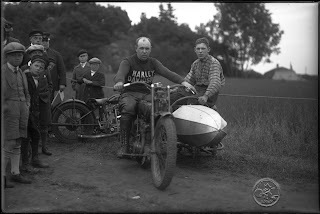 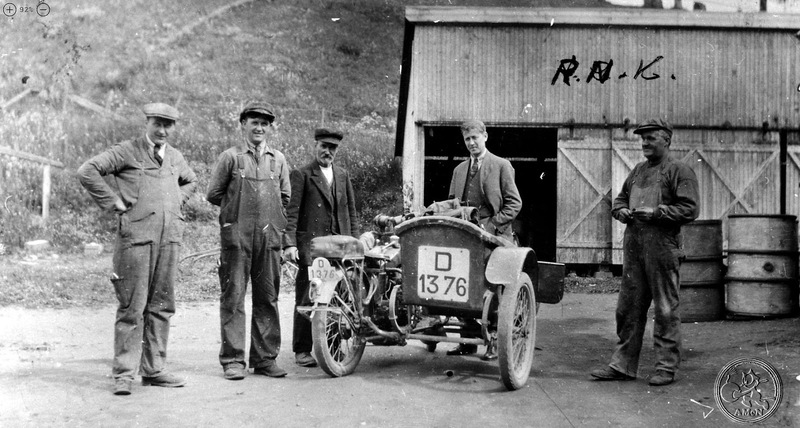 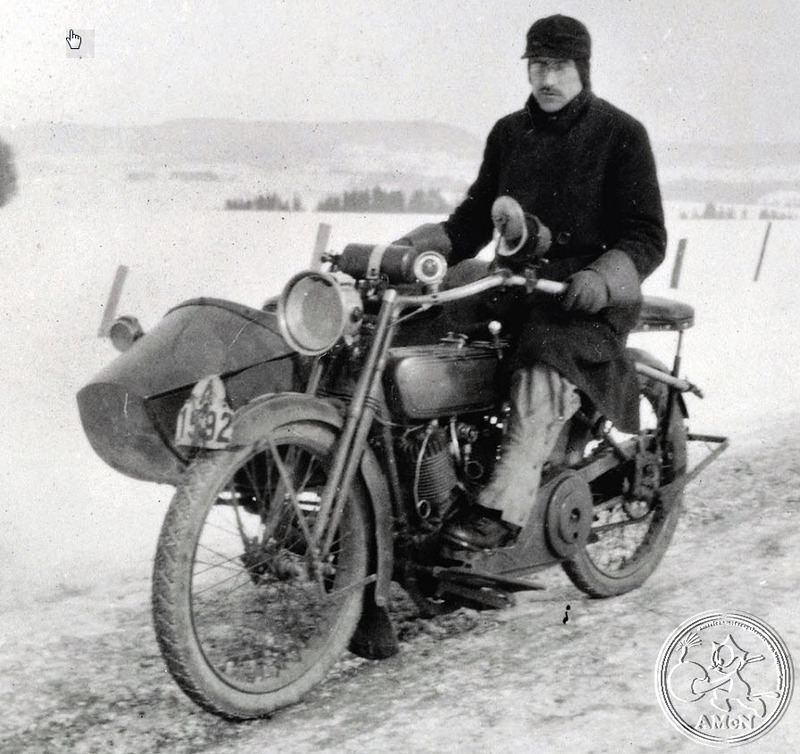 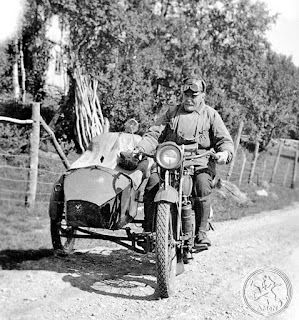 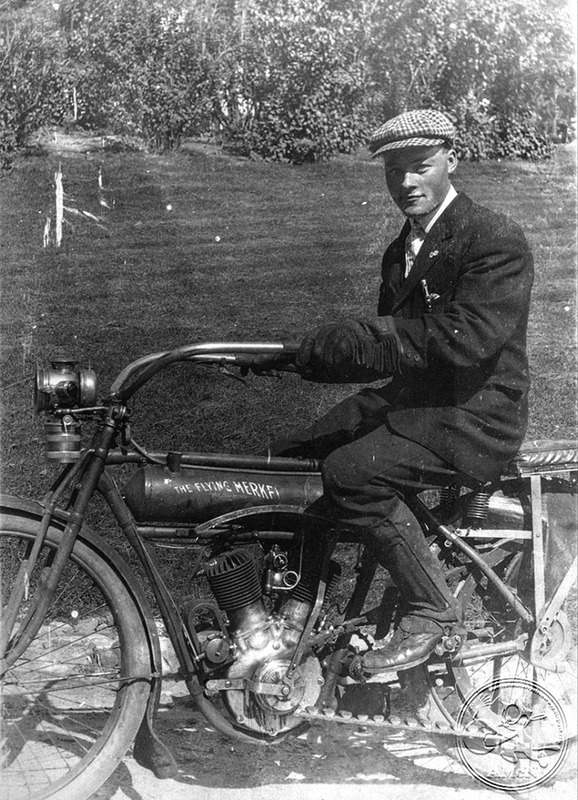 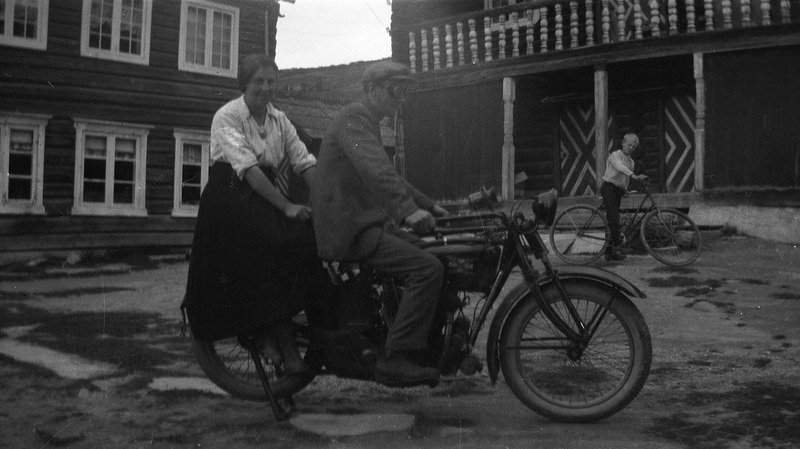 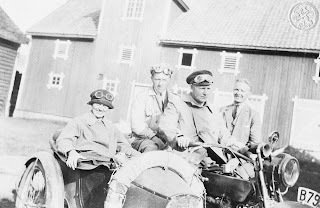 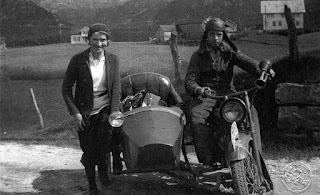 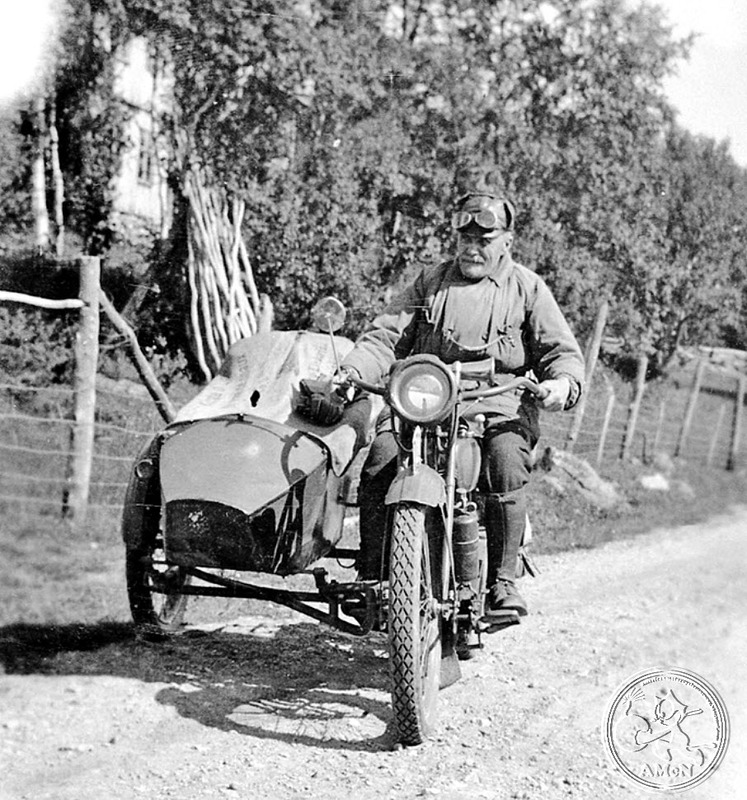 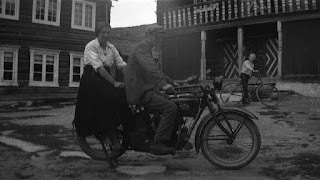 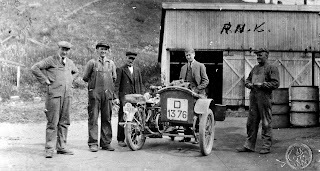 Harald Karlborg rode this Harley Davidson FH two-cam racer from the late twenties up to early thirties. 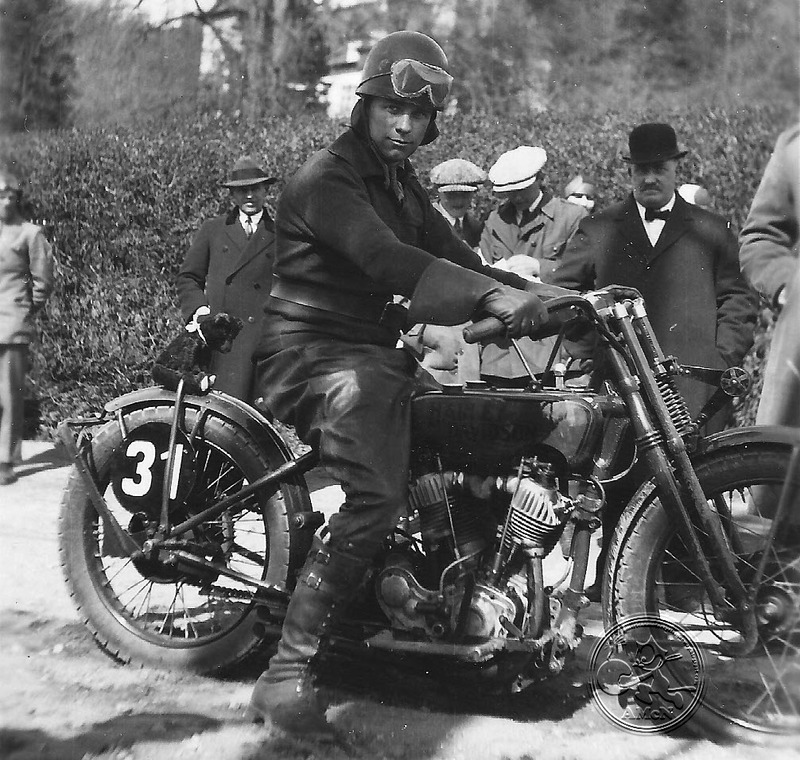 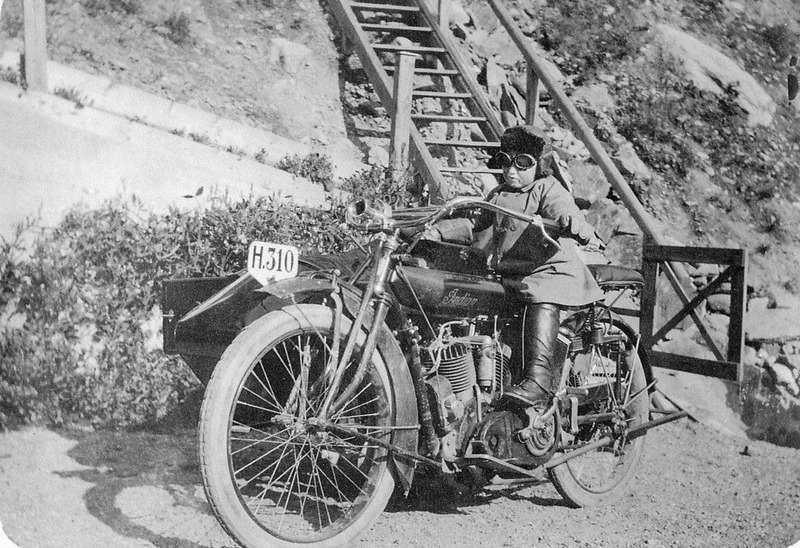 He participated in both endurance run, hill-climbs and track racing. 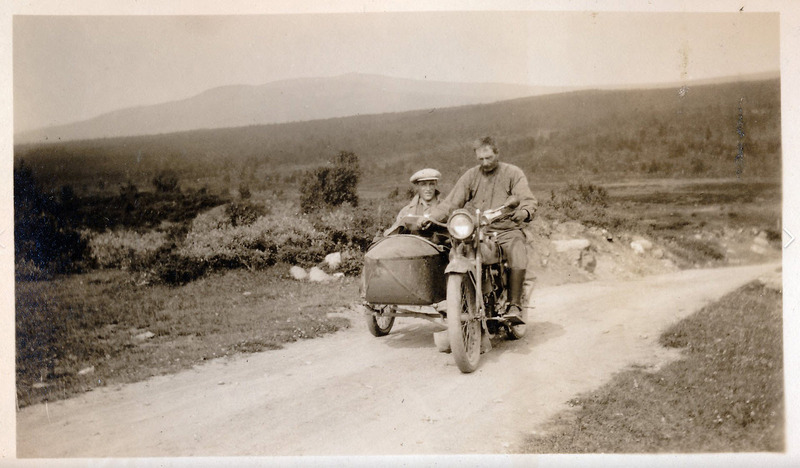 No sidecar, but a good luck bear mascot on the back to secure the first place. 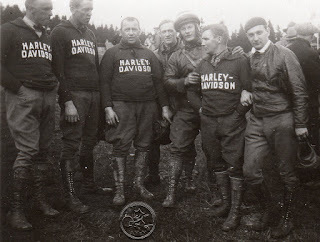 From right; Master Erik, Gunnar Kalen, Ivar "The meatball" Liljekvist and John Berglund, all dressed up in HD sweaters. 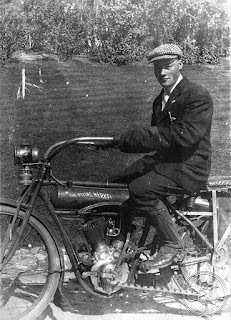 Erik was a favored rider by HD and had strong connections to the Milwaukee race dept., hence he got two 8 valve racers during his career. 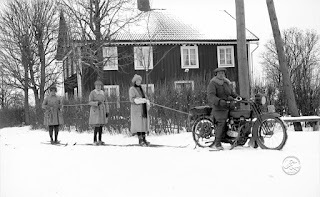 The others had to get the best out of their FH two-cam job`s. OK, it is Christmas and winter in Norway. 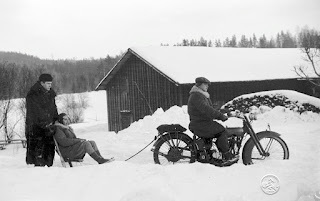 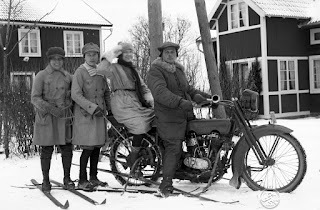 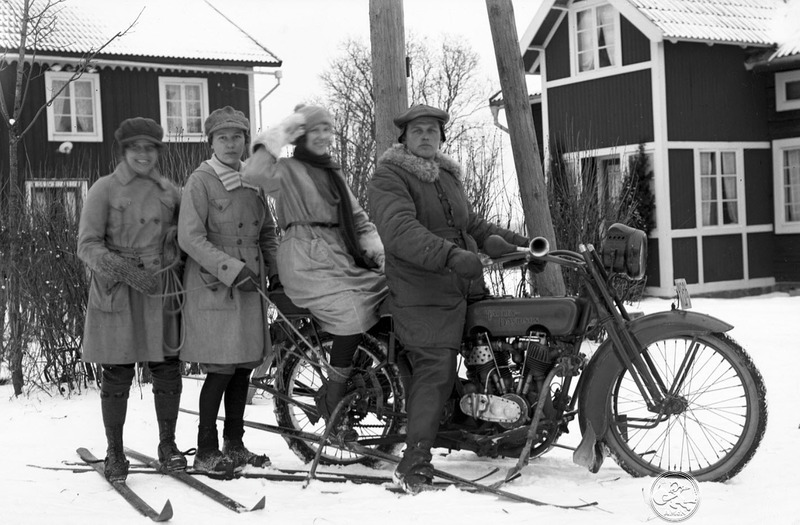 This mean there is snow, why not perform some winter sport with your motorbike? 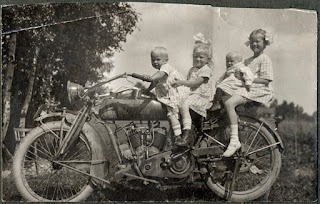 For sure the local gals will enjoy. 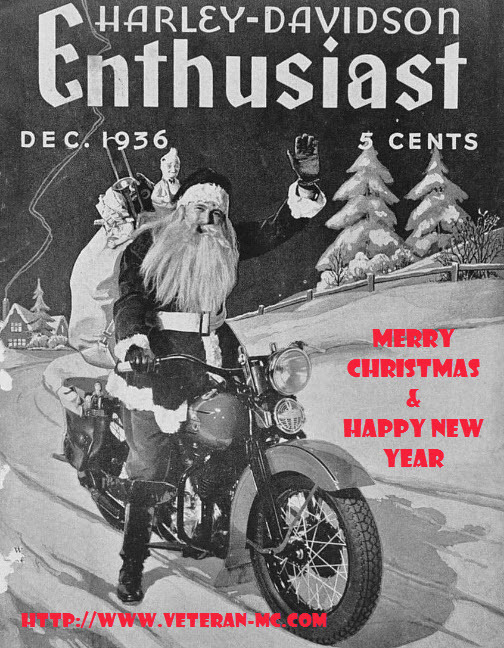 Merry Christmas & Happy New year to all my friends! 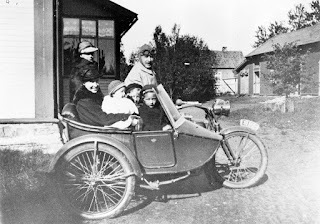 Each and one of you are a great inspiration to me in your work and your deeds.